The South Florida Water Management District has completed repair work to the Bird Rookery Swamp Trail and, as of 11:00 a.m. on 3/6/2018, the barricades are down and the trail is OPEN. Please note that grass has not been mowed but will be mowed by the District soon. 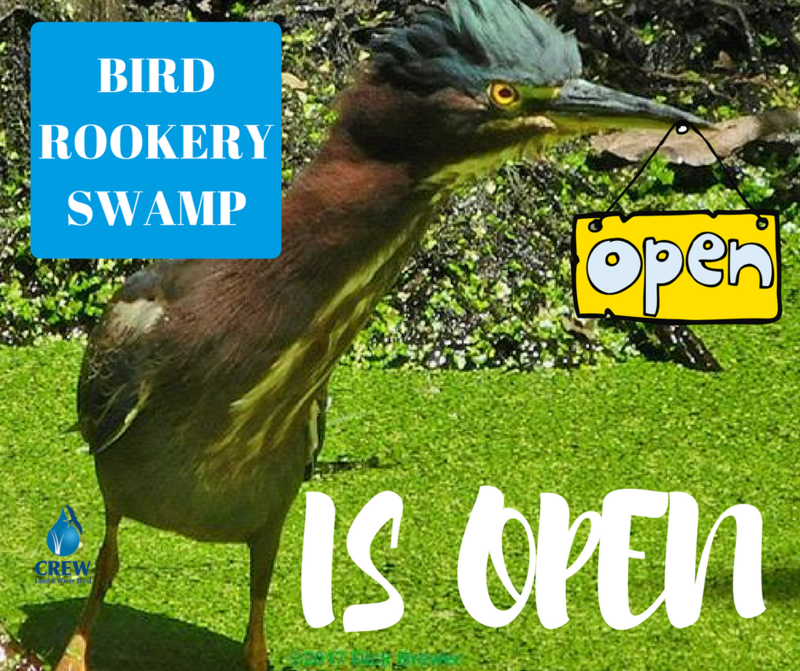 6 Responses to "Bird Rookery Swamp is OPEN after hurricane repairs were completed"
This is so exciting! Thanks for all of your hard work!! Any idea when the district will cut the grass? It’s April 2 and we are back in CT where we are having a snowstorm this morning. But just reviewed the CREW email and it brought on a smile. Thanks for the nice pictures. What is snow? Just kidding – thank you for the note, and we hope to see you next season!